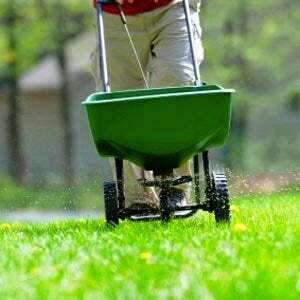 As the growing season picks up, so does the drive to fertilize. Surely, your lawn could use a little help as it gets going—that’s what you’d assume anyway, based on all of the fertilizer tips and products appearing in stores this time of year. 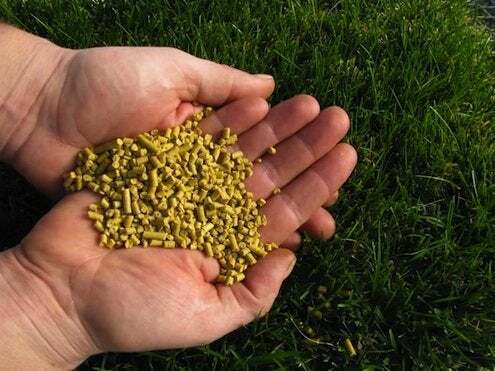 If you really want to give your lawn a boost, it helps to know a bit more about what fertilizer is really doing. Grass requires small amounts of many nutrients (calcium, magnesium, and sulfur to name a few). Macronutrients like nitrogen, phosphorus, and potassium are needed in larger quantities. A soil test performed by your local extension office will reveal what your lawn needs to succeed. The results of the test will include a range of information, such as your soil’s pH. Liming and fertilizer recommendations are also given to help you avoid applying products unnecessarily. A soil test may also indicate whether your grass is sufficient in phosphorus; if it is, then low-phosphorus fertilizer is recommended. Determine your type of grass. Cool-season grasses (including Kentucky bluegrass and tall fescue) benefit most from fertilizer in the fall, at which time the added nutrients go a long way toward bolstering root growth. In the spring, fertilizer promotes the shoots of cool-season grasses to the detriment of their roots. The result is more mowing and less healthy grass. If you forgot to fertilize in the fall, or if your lawn suffered winter damage, a light application now isn’t a bad idea—just wait until the soil has warmed up to at least 55 degrees. For warm-season grasses (including zoysia and Bermuda), springtime fertilization is appropriate once the lawn is actively growing, about six weeks after the last frost date. Using slow-release fertilizer prevents nutrient overload and lowers the risk that your application will contribute to shoot, not root growth. Before purchasing a fertilizer, compare product labels and be sure that at least one-third of the nitrogen content in your choice is slow-release. Fertilizing immediately prior to a rainstorm makes the water supply vulnerable to chemical runoff. Even in the best weather, consider organic fertilizers like fish emulsion and blood meal, or eschew all synthetics and opt for all-natural compost tea. While you are at it, use corn gluten. Organic corn gluten not only gives your lawn a shot of nitrogen, but it also acts as a natural pre-emergent weed suppressant. Add it to your grass now to keep weed seeds from sprouting up during the heart of the growing season.